tzatziki / pickled onion / feta cheese / tomato / hummus / served on brioche bun , whole wheat available upon request, all burgers served with fries. 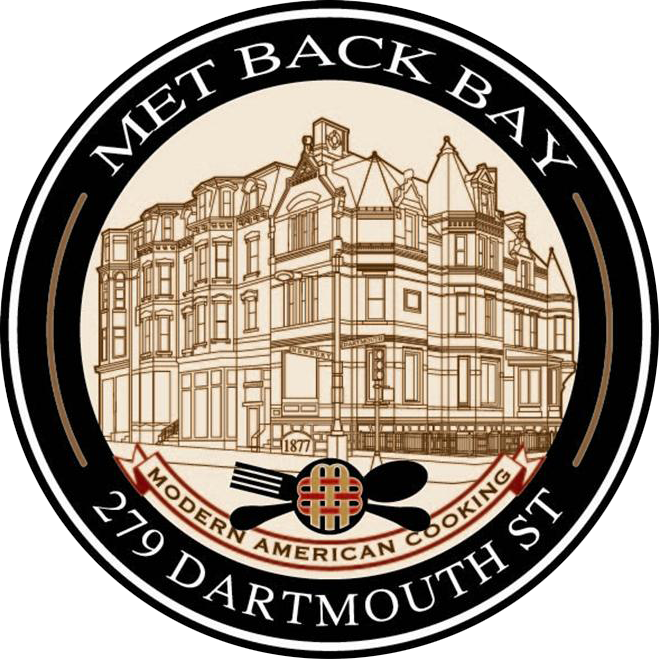 MET Back Bay, a restaurant by Kathy Sidell is located in the heart of Boston’s posh Back Bay neighborhood, MET Back Bay occupies an historic 1877 brick townhouse on the corner of Newbury and Dartmouth Streets. The space has been meticulously renovated and is modern, elegant and comfortable while paying homage to the classic style and timeless beauty of the building and surrounding neighborhood. 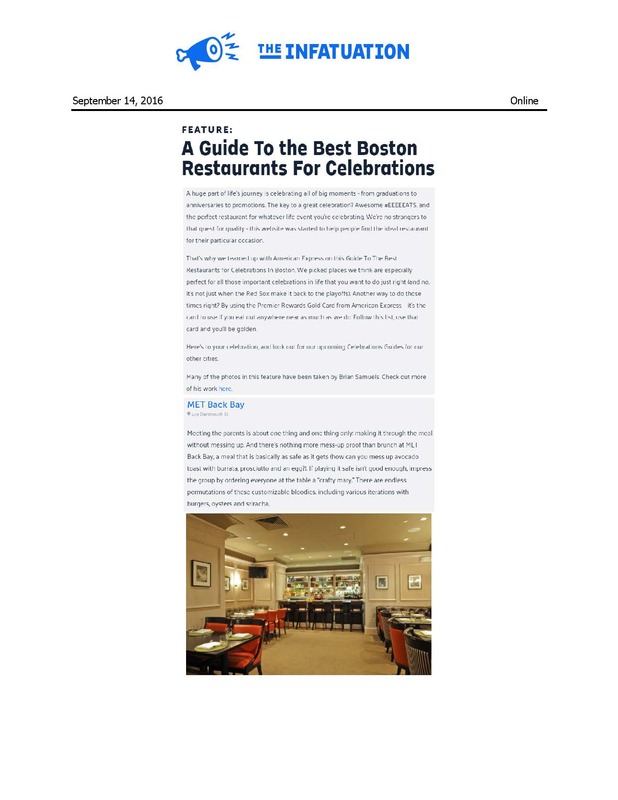 MET Back Bay’s menu blends new American cooking with contemporary continental cuisine and embraces quintessential New England ingredients. or call 617.996.0576 Please specify the location you are interested in when emailing Samantha. Thank you. What are the Most Unique Bloody Marys in Boston? What Restaurants have the Best Fireplaces in Boston?